Reserve Officers Association (ROA) SmartBrief for Monday, August 14, 2017. Center for Strategic & International Studies (CSIS) – “The Evening CSIS” for August 14, 2017. Presented by H. Andrew Schwartz, CSIS Chief Communication Officer. FCW Daily for Monday, August 14, 2017 – Compliments of 1105 Government Information Group. ABC News (AP): Trump’ remarks about violent clashes in Charlottesville. President Donald Trump's remarks Saturday about violent clashes between white nationalists and counter-protesters in Charlottesville, Virginia, delivered in Bedminster, New Jersey, and transcribed and distributed by the White House: Well, thank you very much. As you know, this was a small press conference but a very important one, and it was scheduled to talk about the great things that we're doing with the Secretary on the Veterans Administration. Yonhap News Agency N. Korea seems to be prepared for fresh ICBM test: expert. Recent satellite photos suggests that North Korea is preparing for fresh submarine-based missile tests, an expert has said, amid heightened tension between the U.S. and North Korea over the communist state's successful launch of an inter-continental ballistic missile. The Guardian Trump's rhetoric on North Korea echoes loudly in void of US diplomacy. It took more than seven months for the Trump administration to encounter its first real foreign crisis, and when it came, it was largely self-inflicted. Voice of America Top US General Arrives on Korean Peninsula for Talks on N. Korea Threat. The top U.S. general has arrived on the Korean peninsula amid unprecedented threats between Washington and Pyongyang and as annual military exercises between the United States and South Korea risk further increasing tensions. Defense News Trump pledges 'billions' increase in missile defense spending. U.S. President Donald Trump has pledged to increase defense spending by “billions of dollars,” while hinting that a plan to increase spending on missile defense may come as soon as next week. South China Morning Post China and India on brink of armed conflict as hopes of resolution to border dispute fade. Chinese and Indian troops are readying themselves for a possible armed conflict in the event they fail in their efforts to achieve a peaceful resolution to their border dispute on the Doklam plateau in the Himalayas, observers said. Army Times The civilian version of the Army’s new handgun is having firing problems. The civilian version of the Army’s new handgun is having problems firing when it shouldn’t. Marine Corps Times Top Marine orders 24-hour pause in flight operations for all aircraft. Marine Corps Commandant Gen. Robert Neller has ordered all Marine Corps aircraft to suspend flight operations for 24 hours within the next two weeks following the Aug. 5 deadly MV-22B Osprey crash that killed three Marines. Associated Press Navy: Only woman in SEAL training pipeline drops out. The only woman in the Navy SEAL training pipeline has dropped out, a Navy special warfare official confirmed Friday. Air Force Times Less than half of the US bomber fleet is ready to 'fight tonight'. Less than half of the bombers President Donald Trump would rely upon to be “locked and loaded” against North Korea could launch today if needed, according to the latest Air Force figures available. Stars and Stripes: Europe program offers separating service members VA Jobs. 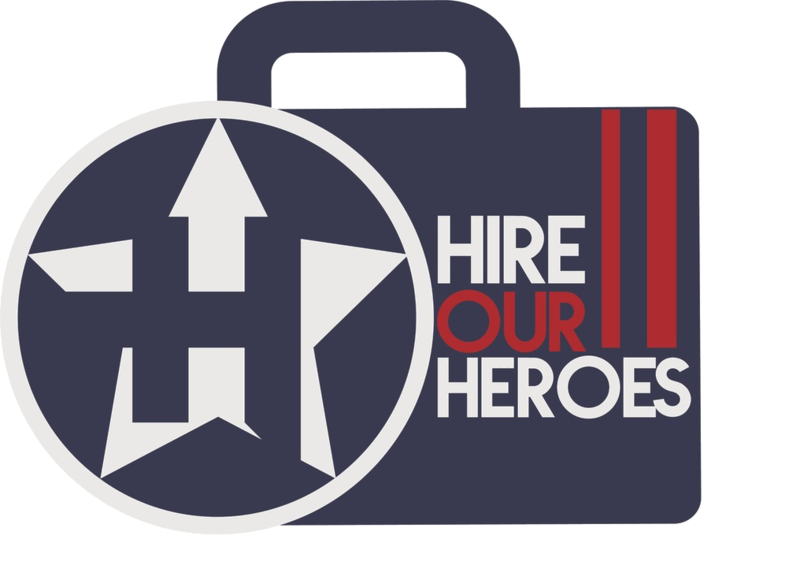 A new program offering Department of Veterans Affairs jobs to servicemembers leaving active duty is now accepting applicants for a Europe-based training course. Previously only available in the United States, the pilot program offered by the VA and the Soldiers for Life office allows servicemembers across Europe to train for jobs as either service representatives or as disability raters, officials said Friday. The New York Times (AP): Trump Signs Bill to Fund Veterans Medical care Program. President Donald Trump has signed an emergency spending bill that will pump more than $2 billion into a program that allows veterans to receive private medical care at government expense. Trump, who made improving veterans care a central campaign promise, signed the VA Choice and Quality Employment Act while at his New Jersey golf club on Saturday. The Washington Times: Trump signs Vets bill to keep Veterans Choice Program afloat. President Trump on Saturday signed a bill that will pump funds into the Veterans choice program to keep it up and running, while Washington continues to fight over how best to give veterans the care they earned — but which the government has sometimes failed to deliver. Washington Examiner: Congress gets it right on Veterans; why can’t it on anything else. As in many other instances where veterans have exemplified exceptional leadership and civic engagement, the most recent bipartisan legislative victories were led by and focused on former and current service members. Veterans affairs continues to exemplify the power of compromise and pragmatism in Congress. The Washington Times: David Shulkin says new evidence in firing of VA medical center head should confirm decision. Veterans Affairs Secretary David Shulkin said Friday that he’s going to look into the firing and subsequent rehiring of Washington, D.C.’s VA Medical Center director. “We’re going to take a look at all the evidence we had before when we made the decision to fire him, and since then even more evidence has come out. The inspector general has released its report on his leadership and has found additional concerns,” Mr. Shulkin said on Fox News. Concord Monitor: My Turn: After meeting with VA Secretary, there is reason for optimism. On Aug. 4, Veterans Affairs Secretary David Shulkin made an unprecedented visit to the Manchester VA. In attendance was the entire New Hampshire congressional delegation, along with Gov. Chris Sununu. Over the past few weeks, scores of veterans detailed horror stories of poor care they received at the VA.
Chicago Tribune: Editorial: Veterans health care: Building on success. The Department of Veterans Affairs has a problem. In 2014, after revelations of shockingly long wait times for veterans with serious ailments, it set up a program to let some of them go to doctors outside the VA system. Did it work? The Veterans Choice Program has been so popular that it is on the verge of running out of money. FOX News (Video): Bill to help curb Veterans’ suicides might have opposite effect, critics say. A proposal in Congress intended to help reduce the suicide rate among U.S. military veterans might actually do more harm than good, its critics say. The “Oath of Exit Act,” sponsored by a Florida Republican who lost both legs to a roadside bombing in Afghanistan, recently passed the House as a provision in the National Defense Authorization Act, Stars and Stripes reported. The Des Moines Register (Video): Suicide-prevention riders’ message to Veterans: ‘It’s OK to say you’re scared’. Ronnie Murray cried what he called "tears of relief" at the Food Depot Bar and Grill in Grimes. The Air Force veteran spent Aug. 3 on his motorcycle. He and more than 20 others rode around the Des Moines metro area to raise awareness about the high rate of veteran suicides. On average, 20 veterans die each day from suicide, according to a 2016 report from the Department of Veterans Affairs. Globe Gazette: Psychiatrist shortage also felt in VA system, Iowa. A nationwide shortage of psychiatrists has created a similar shortage in the U.S. Veterans Affairs department, which can amplify the department’s challenge in having sufficient staff to provide mental health care to veterans. The Washington Times: Majority of VA hospitals offer holistic therapies, alternative to opioids, study finds. Nearly 80 percent of military medical facilities are offering alternative medicines for pain management and psychological treatment instead of opioids when possible, according to a study published Thursday by the nonprofit RAND Corp. Over 8.9 million veterans are treated at 1,233 veteran health facilities each year, according to the Department of Veteran Affairs. Stars and Stripes: Paralyzed Veterans of America: Ending dog testing at VA could hurt Veterans. Advocates and lawmakers attempting to shut down dog testing at the Department of Veterans Affairs have a new adversary – a group of disabled veterans concerned that stopping the research would limit future medical advancements. A measure to stop funding for VA research that causes pain to dogs passed the House floor on July 26 as part of a multi-agency funding bill. News 12 (Video): Vietnam Vets report significant results of parasite study. Participants of a VA pilot study on Long Island say a significant number tested positive for liver-damaging parasites. Liver fluke is a water-borne pathogen prevalent in the Vietnam region and linked to liver cancer. Veterans are asking the government to classify the disease as a service-connected disability, but they say they're facing resistance. Their efforts led to a recent pilot study conducted at the Northport VA. The VA would not comment on the results. ABC News (AP): Congress approves bill to address VA claims backlog. Congress has sent the president a bill aimed at trimming a rapidly growing backlog of veterans' disability claims. The House approved the bill by voice vote Friday during a brief session, sending the measure to President Donald Trump. The House is on recess, but a handful of lawmakers gaveled the chamber in and out of a session that lasted less than five minutes. Roll Call: House Sends Veterans’ Appeals Bill to Trump’s Deskm Measure aims to pare down backlog appeals for disability benefits. The House during a pro forma session Friday cleared a bipartisan bill aimed at paring down a massive backlog of appeals for veterans’ disability benefits. Passage of the measure brings to three the number of major veterans’ bills that now await President Donald Trump’s signature. Associated Press Officials: Exhumation of killers from vet cemeteries is rare. The recent exhumation of an Army Vietnam veteran’s body from the Connecticut State Veterans Cemetery was a rare invocation of federal laws aimed at keeping murderers and rapists out of veterans burial grounds, federal and state officials say.